Robotics, machine learning and Artificial Intelligence (AI) are examples of scientific applications that are being developed at a rapid pace. And those, like reality, can overtake the premise of a Science Fiction (SF) novel. The scientific concepts in some SF novels are, at some point, no longer futuristic or imaginary. What the authors have speculated about has happened, on the ground, in practical terms. SF authors who base their novels on traditional elements of SF, such as outer space travel, robots, parts of the world turning into uninhabitable areas, human augmentation through machines, internet communication and so on, stand a good chance of their creative concepts being subsumed by future events within their lifetimes. This is why it is important that every SF novel has TWO major aspects: a creative concept AND an excellent depiction of it – in other words function as well as form. If the one fails, the other one will be the redeeming factor. That is also why it is important, as authors emphasized at Worldcon 75 in Helsinki, that SF needs to be set FAR enough into the future so as not to fail badly by comparison with the real world. However, on the other end of the SF scale, there is Hard SF, which is less Fiction and more Science. 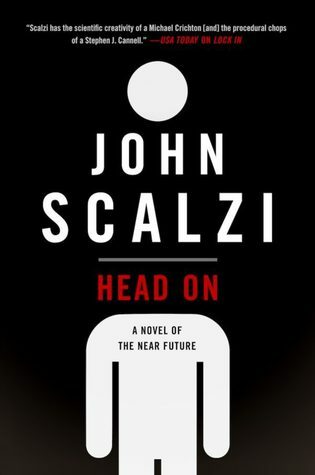 Hard SF is based not on speculative ideas about the future, but about the most plausible future configuration or outcome of current scientific studies or hard scientific facts. How far into the future are we talking? That’s where the writer’s imagination comes into it. But the point is, they are based on current known or achievable science. In some of my reviews I have pointed out which concepts already exist. For instance, in The Wreck of the River of Stars, I recognized that the concepts in the novel, such as space ship powered by both Farnsworth nuclear fission engines and superconductive sails, already existed. Boring as though this sounds (I mean, total flights of fancy are more interesting than sticking to the facts), consider that an SF writer needs to be a combination of observer or student of science, and a creative deliverer of fiction. It begs the question, what sort of mental conflicts does this produce in an SF writer? Best to leave that unanswered. The stories are all within the realm of known or achievable science and technology. 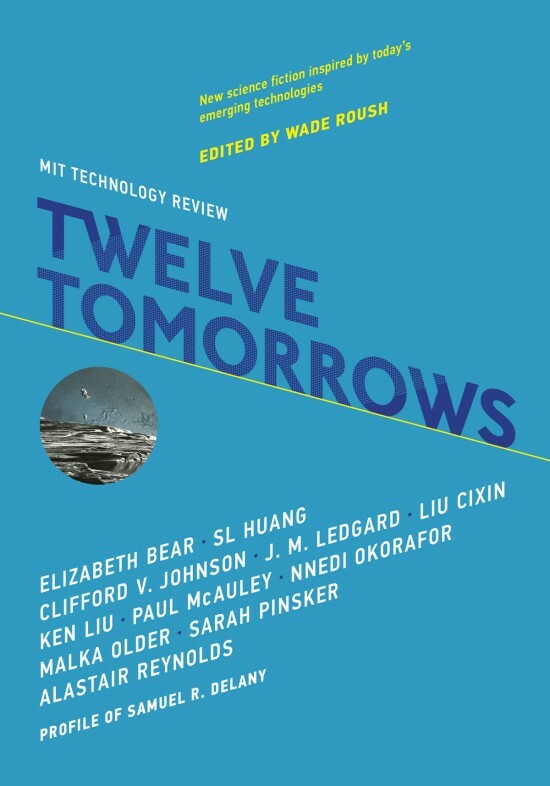 The point here is that MIT would not have had its name associated with just any sort of SF – this is hard, real SF based on today’s technology and applied sciences. The stories explore the future implications of some of these technologies. As the editor of the book, MIT Technology Review senior editor and tech journalist Wade Roush writes in the Preface, it’s “…storytelling about the possible but the not-quite-yet”. So what’s the point? Why not just produce a paper or an article about the science itself? That being said, collectively the stories cover the spectrum of known and achievable science and technology, from concepts to achievements. Some stories are about the consequences of development and implementation, others – segueing into the realm of softer SF – are about taking an idea or a principle, rather than a thing, to its furthest extent. The Woman Who Destroyed Us, by S.L. Huang – S. L. Huang has a Mathematics degree from MIT and is a weapons expert and professional stunt woman who has worked in Hollywood on Battlestar Galactica and a number of other film productions. How’s that for a bio? Wow. This story is about virtual doctors and medical treatments. Take today’s new options of speaking online to a doctor, or a doctor accessing online scans and images to do surgery – and take out the human element almost entirely. “Transhumanism” is what one of the characters calls the treatment approach that is in dispute. The problem is that human interpretation of data – and passionate human love – lead to a complete and fatal misunderstanding of the situation. Okay, Glory, by Elizabeth Bear – Elizabeth Bear is a prolific Speculative SF, SF and Fantasy writer. She won the 2005 John W. Campbell Award for Best New Writer, the 2008 Hugo Award for Best Short Story for “Tideline”, and the 2009 Hugo Award for Best Novelette for Shoggoths in Bloom, amongst multiple Hugo Awards for fiction. A house can have too many intelligent systems and security features. In this instance, a tech magnate is held hostage by his own house. The problem is that his house’s AI system, called “Glory”, is too smart for its own good, and he is stuck inside it. Maybe forever. This one is quite funny at times. It starts with “My bathroom scale didn’t recognize me”, and it all goes downhill from there. Byzantine Empathy, by Ken Liu – Ken LIU is the translator of many of LIU Cixin’s SF works, and is himself an author of some repute. 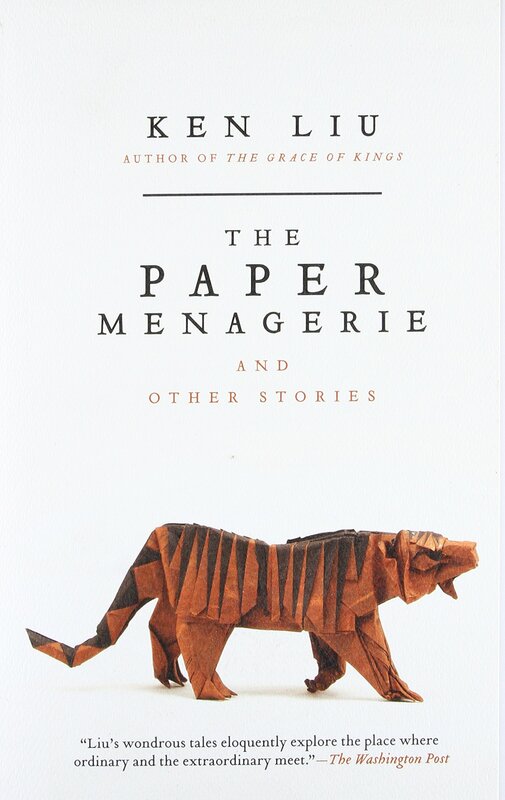 The Paper Menagerie, by Ken Liu, a 2011 fantasy/magical realism short story, which became the first work of fiction to win all three of SF’s major awards: the Hugo, the Nebula and the World Fantasy Award. The idea behind this one is “virtual disaster tourism”. One developer wants to evoke genuine empathy for victims of disasters and get funding for them. What better way to do it than to let potential donors experience first-hand, via Virtual Reality (VR), the wars, tsunamis, earthquakes, massacres, poverty, slavery or whatever cause is out there? No more pleading for something on a funding website – this is intended to make you really sweat, cry and faint with fear. It’s a very successful piece of programming that introduces “realism” into diplomacy and non-profit work. The trick to fairly allocating investments is to allow those experiencing the war, or whatever, via VR, to get paid to vote for a specific cause that they support, and those whose cause lost out for getting too few votes (or likes) then have their payments taken away from them. It’s a lesson in how not to monetize a cause or campaign. It’s about how easy the wheels can come off even the most well-intentioned plan. I found it particularly creepy because it’s about using technology for emotional manipulation and propaganda. Chine Life, by Paul McAuley – Paul J. McAuley has been pumping out a stream of SF works since his first book – and his first hit – in 1988. He is a British botanist and science fiction author. A biologist by training, McAuley writes mostly hard science fiction, dealing with themes such as biotechnology, alternative history/alternative reality, and space travel. This is more of a traditional type of SF story, in that a survivor of a fight on a desolate, hostile planet has to choose whether to be transformed into a new type of life form, a “screwhead”, or act as their diplomatic representative, or die. Yes, the screwheads are terrible-looking, and all their faces are permanently “…masked by a black, conical helmet, twisted from overlapping plates.” From the start, the reader is made to think that the screwheads are the antagonists, but there is always a twist in the tale. It’s a story of failed diplomacy and military intervention, and of what happens when you assume that a new technology is automatically alien. Fields of Gold, by LIU Cixin – Cixin Liu (as his name is written in English) is a Chinese science fiction writer. He is a nine-time winner of the Galaxy Award and winner of the Hugo Award. His most famous work is the magnum opus trilogy, Remembrance of Earth’s Past (published inEnglish by Tor Books since 2014), which consists of The Three-Body Problem (三体) (2007), The Dark Forest (黑暗森林) (2008) and Death’s End (死神永生) (2010). 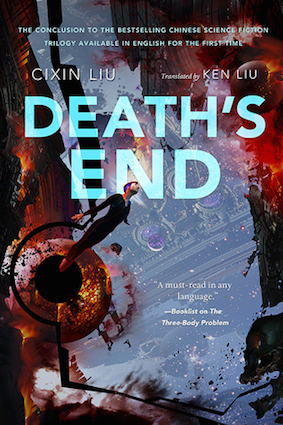 Death’s End, by LIU Cixin (publisher: Tor Books – Tom Doherty Associates, September 20, 2016, translated by Ken LIU). Liu is known to use fairy-tales and folklore in his hard SF books. This was fiercely debated at Worldcon 75 in Helsinki, Finland. The title of this story refers to the name of a space rocket, put into outer space as a last-ditch effort by humankind to find another place to live. It also conjures up all the romantic connotations with fields of gold – the romance of a pastoral life, the richness of crops like wheat and barley, the beauty of waving fields of sun-drenched grass…you get my drift. A lonely man connects with the woman on board the space craft, but the years pass and success is nowhere in sight. Liu builds another little story into the narrative which gives a different explanation of the term “fields of gold”, thereby connecting the future of space travel with the past represented by an ancient fairy-tale. Why does he do this and what does it mean? Read for yourself. Resolution, by Clifford V. Johnson – This is the only contribution to the book that’s in the form of a graphic novel. Escape from Caring Seasons, by Sarah Pinsker – Pinsker writes a little horror story about when automated old-age care systems go haywire. Different Seas by Alastair Reynolds – The plot is bulk space carrier meets sailboat damaged in rough seas, with a proxy or avatar doing the repairs. What could possibly go wrong? Disaster Tourism, by Malka Older – Similar in theme to Byzantine Empathy, by Ken Liu, but this time about the use of drones. Vespers, by J.M. Ledgard – This is an odd one – I had to read it a couple of times. The narrator is a 28,000-year-old AI that is the only “life” on board a derelict, empty spacecraft. He (it?) talks to no-one at all as if it were preaching a doctrine on life, the universe and everything. The AI is sentient, quotes the classics at length and is very depressed. Let’s just say, outer space can be a lonely place. Imagine what would’ve happened to “HAL 9000” if astronaut “David Bowman” hadn’t disconnected it and it had drifted for aeons in space. This would have! So is Hard SF hard to read? The idea I got after reading these “nearly there”, Hard SF stories, is that human error, mortality, vanity and wickedness can screw up even the best, most useful technology. The stories bear out, perhaps coincidentally, what scientists often say about any technology – it’s only as smart as the human who programmed and built it. And yet, without the human touch, it’s all pointless and will fail in any case – because technology is just a tool to improve human life. The question is, can humans transcend their own weaknesses, or build fail-safes into their inventions? At least according to Elizabeth Bear in Okay, Glory, the answer is a definite nope.